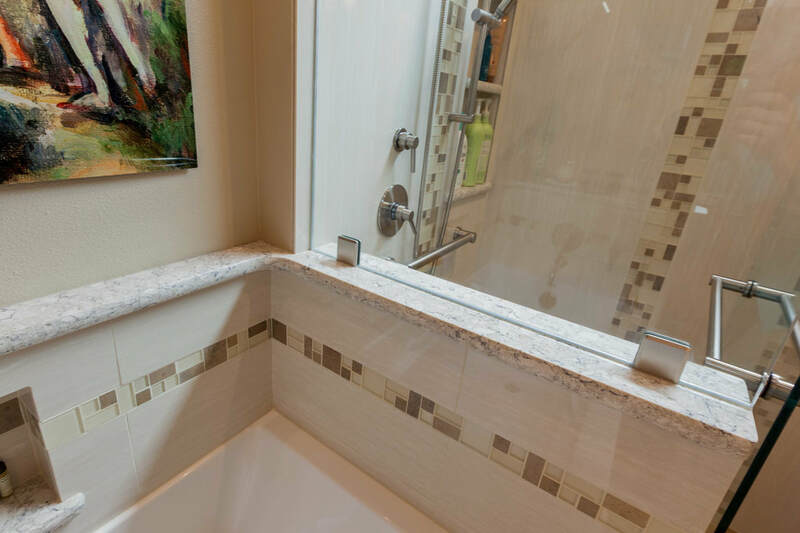 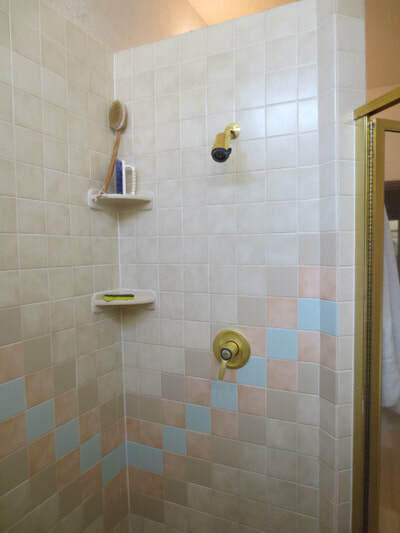 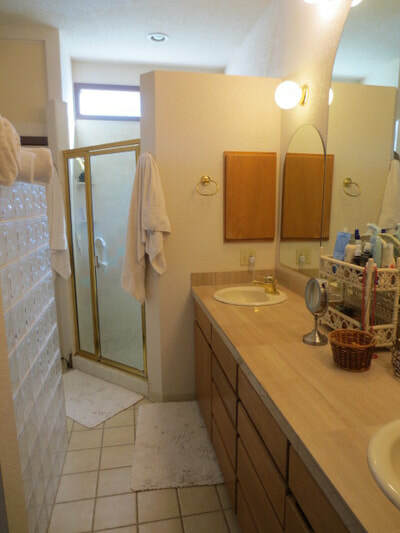 In an 80's vintage Spanish-style custom home, this bath was considered a luxury bath at the time. 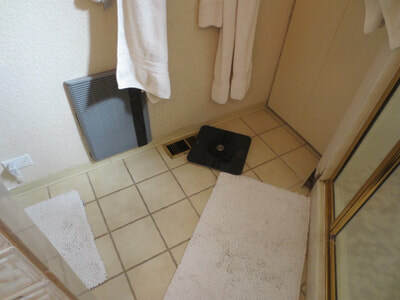 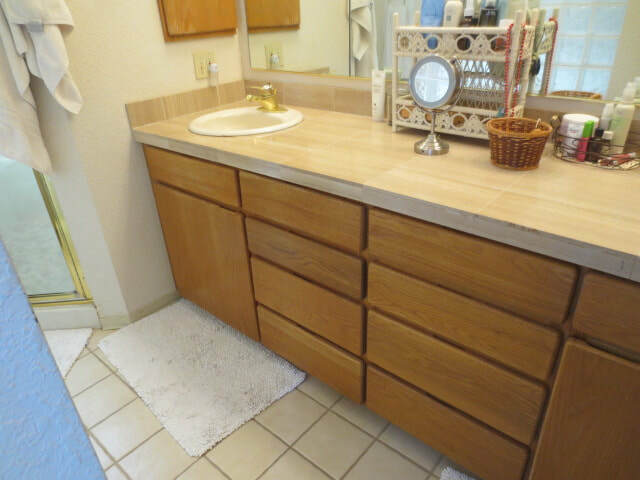 Although it had no tub, it did have a large shower, a separate toilet compartment, double sinks, and a spacious vanity. 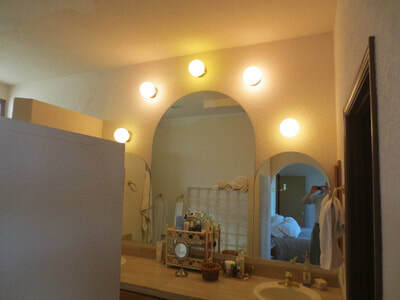 It is a relatively long, narrow, & tall space. The glass block enclosure around the toilet created a narrow, crowded, feeling. Despite having a significant amount of room, the space just wasn't well-utilized and felt small. 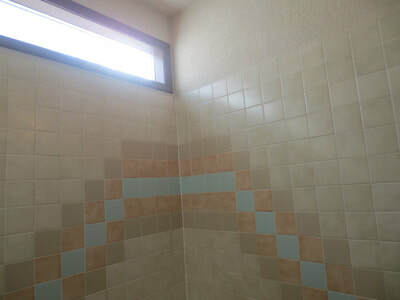 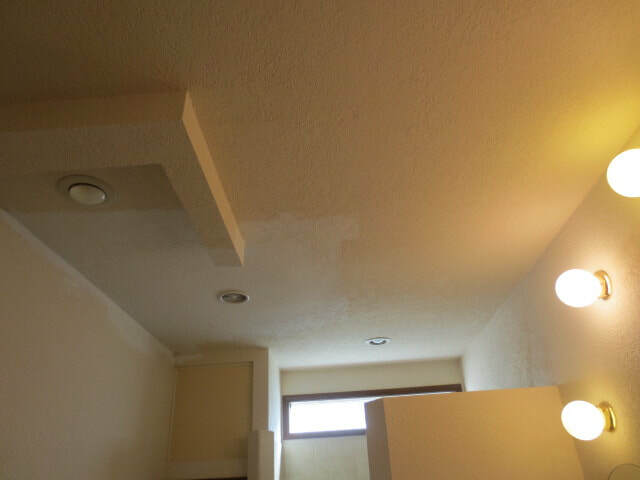 Other problems included: lack of a door, sinks that crowded the end walls, and a shower wall that blocked much of the light from a south-facing, high window. 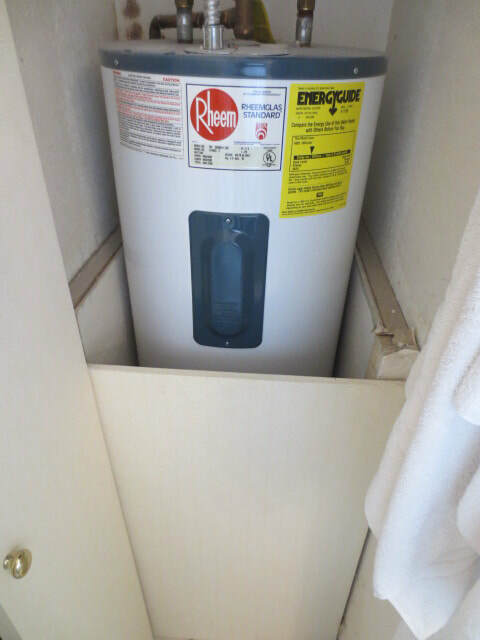 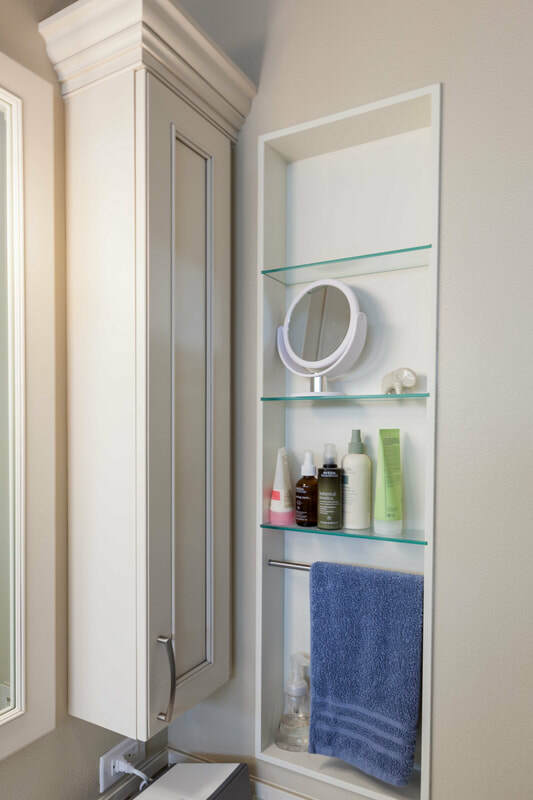 The linen closet next to the shower concealed a water-heater and held no linens. Our clients' goals were to modernize, visually enlarge, lighten & brighten, and create a visually inviting space. 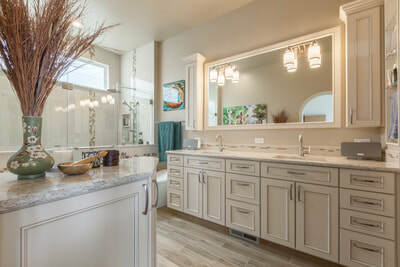 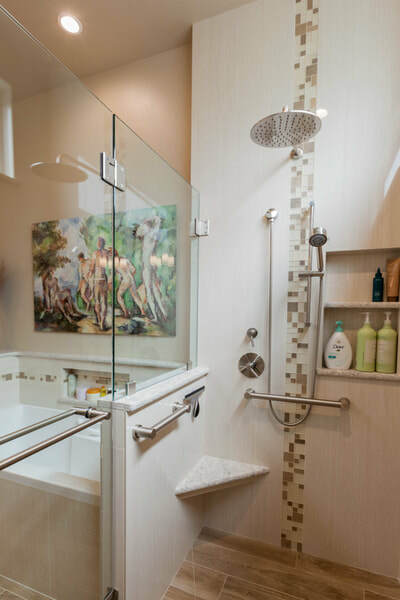 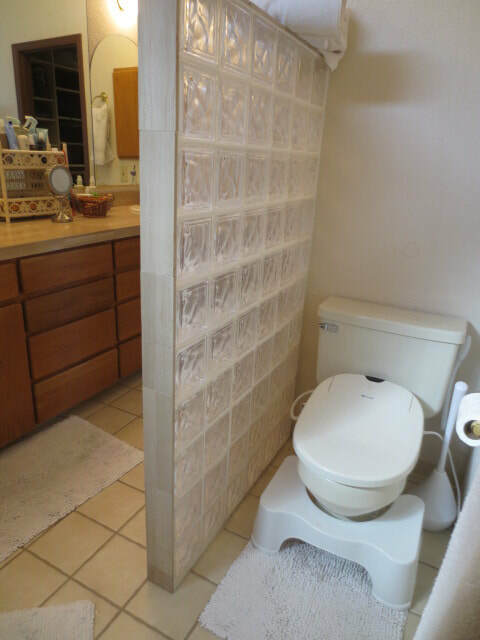 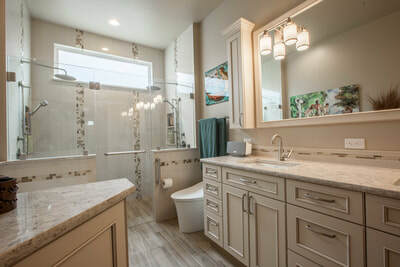 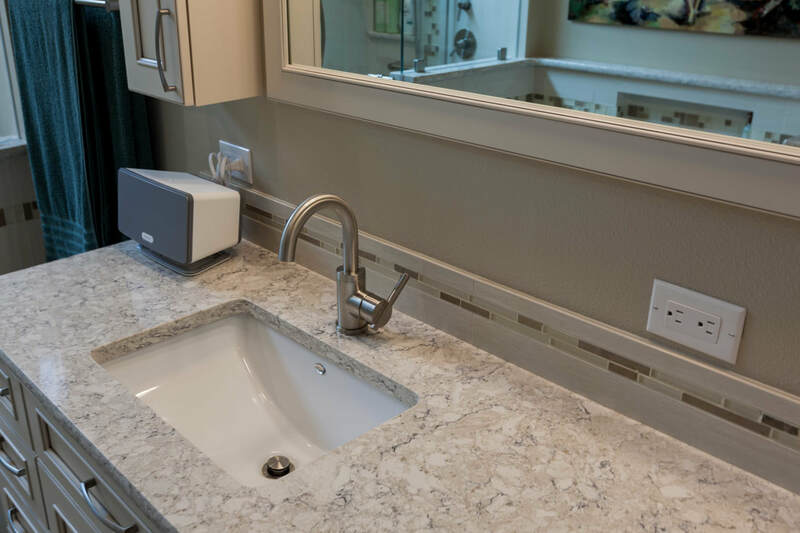 The wish list included heated tile floors, a double shower, a soaking tub, a door between the bedroom & bath, a high-end toilet, and better vanity space. 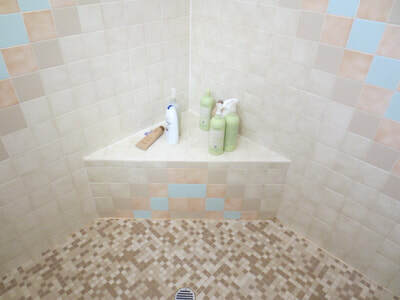 It made sense to leave the vanity and the shower in the original locations. 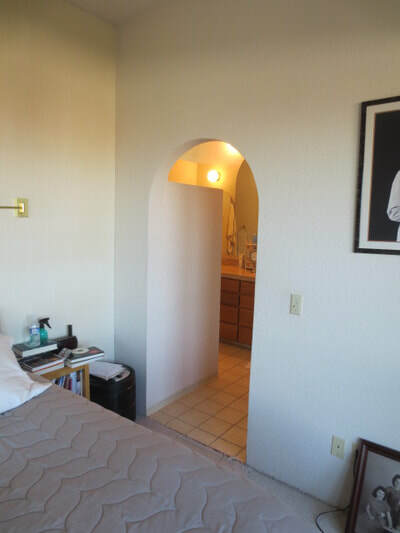 The linen closet & water heater were removed, along with the tall walls. 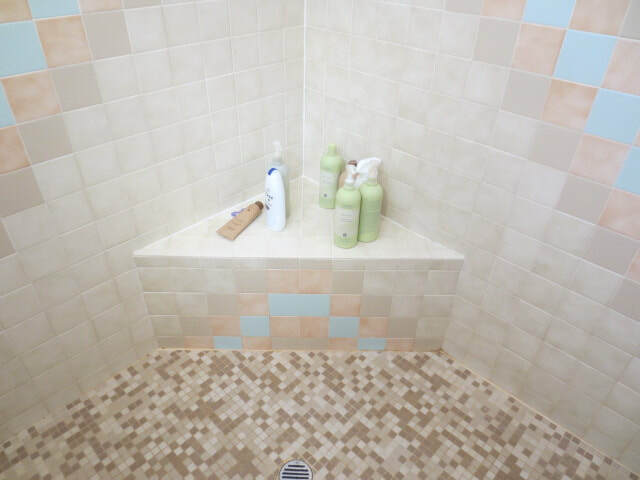 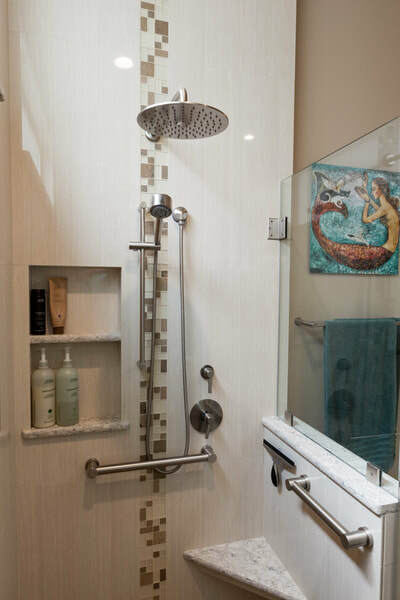 We changed the shape of the shower from a neo-angle shape to a rectangle across the end wall, making room for the toilet next to the vanity. 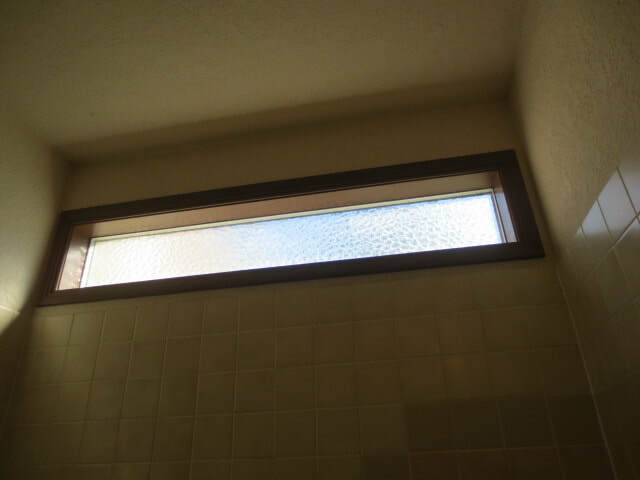 The window was enlarged & centered to capture more natural light. The space formerly occupied by the toilet compartment became space for the soaking tub. 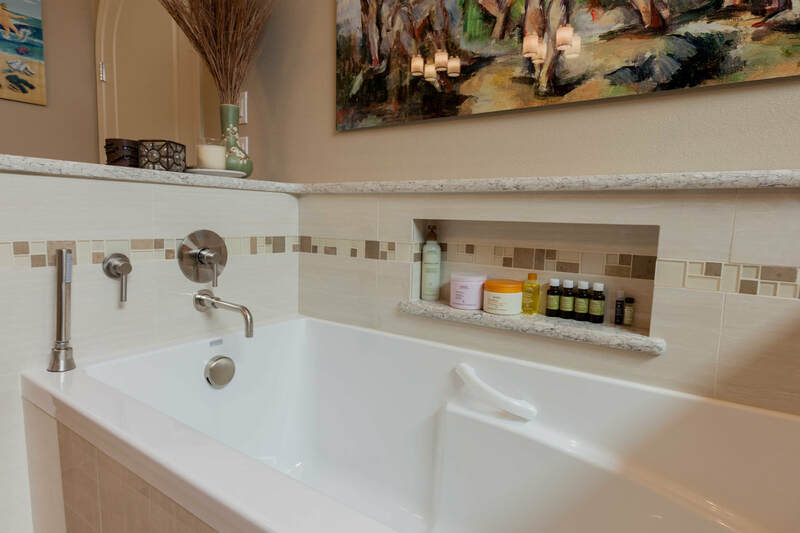 Keeping the tub footprint small allowed us to increase the aisle width for more actual space. Light colors, 1/2 walls, and glass combine to magnify the visual size. 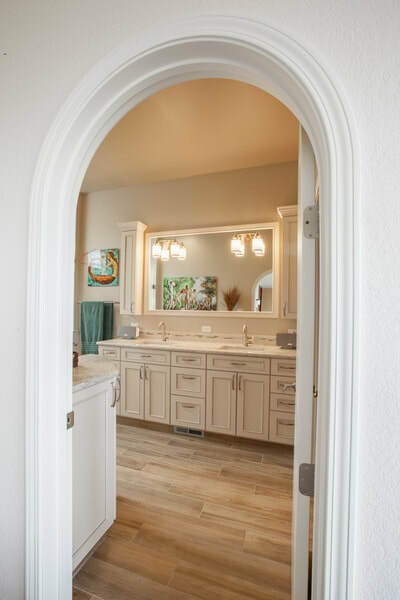 Converting the round-top opening into a round-top door, added the requested privacy feature while retaining the Spanish styling. Features include: A heated, porcelain tile floor, a Kohler "Veil" toilet , individual shower spaces with rain heads and adjustable hand showers, improved vanity storage, adult-height, quartz countertops, a soaking tub, improved storage capacity, improved natural lighting, instant hot water through a hot-water circulation system and upgraded water-heater. Although the room size did not change, the perception of size and the utilization of the space changed dramatically.